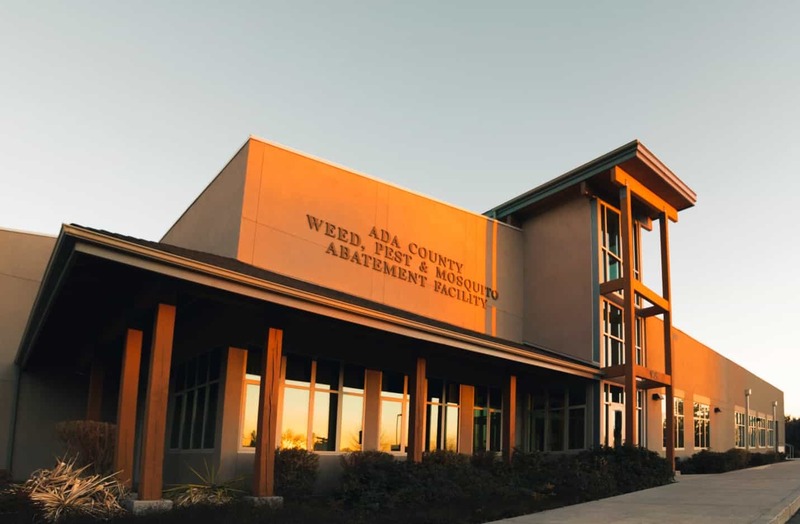 Ada County Weed, Pest and Mosquito Abatement is an agency that houses three separate and distinct departments. Ada County Weed Control is supported through the General Fund, and provides noxious weed control services throughout Ada County. Ada County Pest Abatement District offers gopher and rock chuck control services to residents of the pest abatement district (unincorporated Ada County) with funding from a special levy. Ada County Mosquito Abatement District is also funded by a special levy, and offers mosquito surveillance and abatement services to residents of the mosquito abatement district (mostly-populated areas of Ada County). All three departments share a common facility in order to conserve taxpayer dollars, and to pool resources used by all three departments for the common good. Ada County Weed, Pest and Mosquito Abatement share an administrative staff. The Ada County Board of County Commissioners presides over all three departments, and appoints an Advisory Committee, made of members of the public, which helps to provide counsel. We look forward to serving you, answering your questions and providing guidance for dealing with a variety of weed, pest and mosquito issues. For service and assistance, simply click the “Request for Service” button to fill out an online form and our staff will gladly contact you.